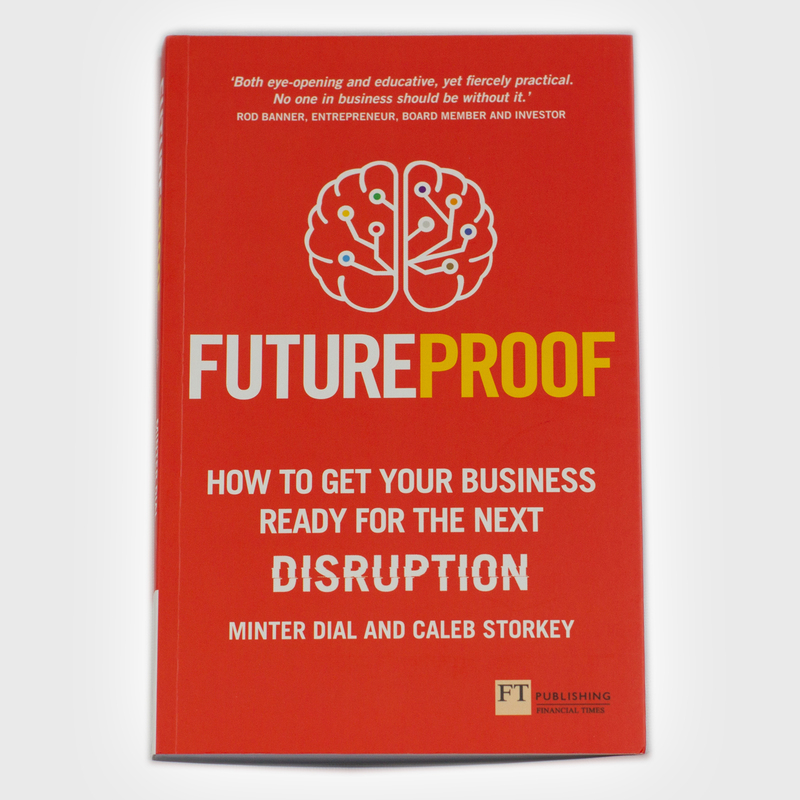 The organisers of the inaugural Business Book Awards are delighted to announce the winners of the Embracing Change category are Minter Dial and Caleb Storkey, authors of Futureproof. 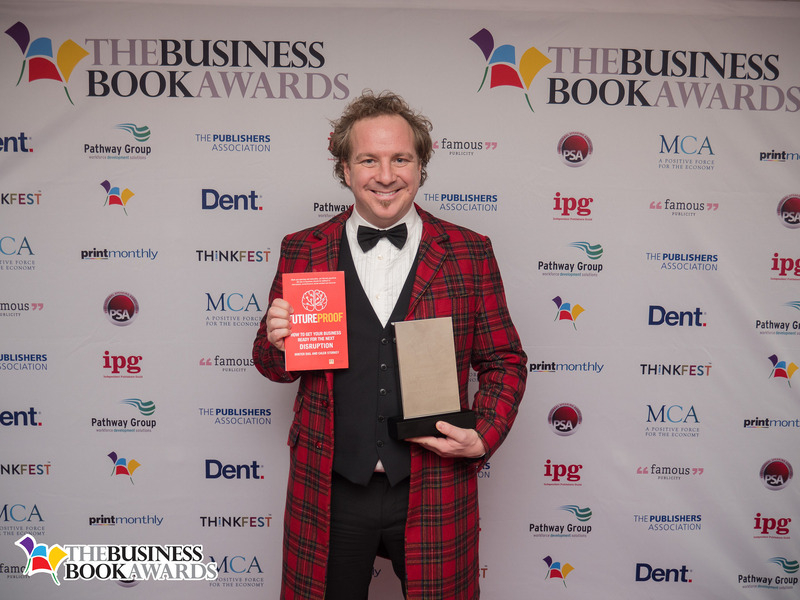 The winner of this category was decided upon by a majority vote of the judging panel, lead by Ginny Carter, a business book ghostwriter and writing coach. Minter Dial is an international professional speaker and recognised expert on branding, new tech and digital strategy. President and founder of The Myndset Company, the list of blue-chip clients with which he works includes Orange, Kering Group, Remy Cointreau, Samsung, Credit Agricole, LVMH, L'Oreal, Total, Publicis and Tencent. Caleb Storkey is a seasoned entrepreneur, consultant and recognised expert in innovation and marketing. Founder and CEO of Storkey Media, an integrated marketing agency, Caleb works internationally with a wide-ranging client base from blue-chip companies to highly disruptive and fast growth tech start-ups. 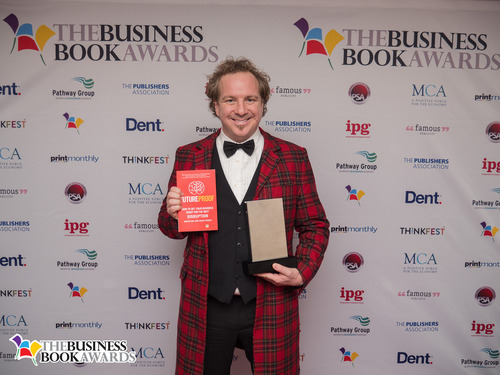 The overall winner of the Business Book Awards was Campbell Macpherson, author of The Change Catalyst who also received the award in the Leading the Team Category. For further information please contact Mary-Jane Rose at mary-Jane@famouspublicity.com, Adam Betteridge at adam@famouspublicity.com or Tina Fotherby at tina@famouspublicity.com or call 0333 344 2341. Lucy McCarraher started her first publishing company at university, and has been publishing, editing and writing ever since. She has been a magazine and book editor and publisher, print and TV journalist in Australia and the UK; a writers’ agent, and editor for Methuen. As Director of Development at Lifetime Productions International, she developed, wrote and edited UK and international TV and video series, including three series of Runaway Bay, a children’s series shot in Martinique and starring Naomie Harris; Go Wild! with Chris Packham; and the Lovers Guide video series and books. This press release was distributed by ResponseSource Press Release Wire on behalf of Business Book Awards in the following categories: Men's Interest, Entertainment & Arts, Leisure & Hobbies, Women's Interest & Beauty, Consumer Technology, Business & Finance, Education & Human Resources, Media & Marketing, for more information visit https://pressreleasewire.responsesource.com/about.